BIOLASE, Inc. announced that at its annual meeting of stockholders held on May 9, 2018, the Company’s stockholders granted the Board of Directors the discretion to effect a reverse stock split of BIOLASE’s common stock at a ratio of not less than 1-for-5 and not more than 1-for-15. Immediately after the annual meeting, the Board of Directors approved the reverse stock split of BIOLASE’s common stock, through an amendment to BIOLASE’s charter, at a ratio of 1 post-split share for every 5 pre-split shares. The 1-for-5 reverse stock split will become effective at 11:59 p.m. ET on Thursday, May 10, 2018 (the “Effective Date”), and Company common stock will begin trading on a split-adjusted basis at the opening of the market on May 11, 2018. The 1-for-5 reverse stock split will reduce the number of outstanding shares of Company common stock from approximately 102,380,238 shares to approximately 20,470,047 shares. Proportional adjustments will be made to the number of shares of BIOLASE’s common stock issuable upon exercise or conversion of BIOLASE’s outstanding equity awards and warrants, as well as the applicable exercise price. The number of authorized shares of Company common stock will be reduced from 200,000,000 to 40,000,000 shares. The purpose of the 1-for-5 reverse stock split is to raise the per share trading price of Company common stock to continue its listing on the Nasdaq Capital Market. To maintain listing, the Nasdaq Capital Market requires, among other things, that a company’s common stock maintain a minimum bid price of at least $1.00 per share for ten consecutive trading days (the “Minimum Bid Price”). BIOLASE, Inc. is a medical device company that develops, manufactures, markets, and sells laser systems in dentistry and medicine and also markets, sells, and distributes dental imaging equipment, including three-dimensional CAD/CAM intra-oral scanners and digital dentistry software. 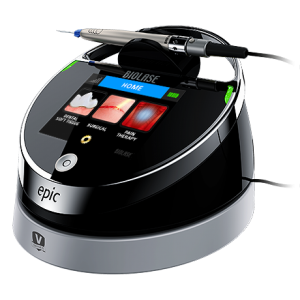 More on the dental laser market in the US can be found in a series of reports published by iData entitled the US Market Report Suite for Dental Lasers. This report covers the following market segments: soft tissue dental lasers, all-tissue dental lasers and welding lasers. The iData series on the market for dental lasers covers the U.S. and 15 countries in Europe including Germany, France, the United Kingdom (U.K.), Italy, Spain, Benelux (Belgium, Netherlands and Luxemburg), Scandinavia (Finland, Denmark, Sweden and Norway), Portugal, Austria and Switzerland. Reports provide a comprehensive analysis including units sold, procedure numbers, market value, forecasts, as well as detailed competitive market shares and analysis of major players’ success strategies in each market and segment. To find out more about dental laser market data or procedure data, register online or email us at [email protected] for a US Market Report Suite for Dental Lasers brochure and synopsis.